Slot developer Play N Go recently released a new slot called Cloud Quest. 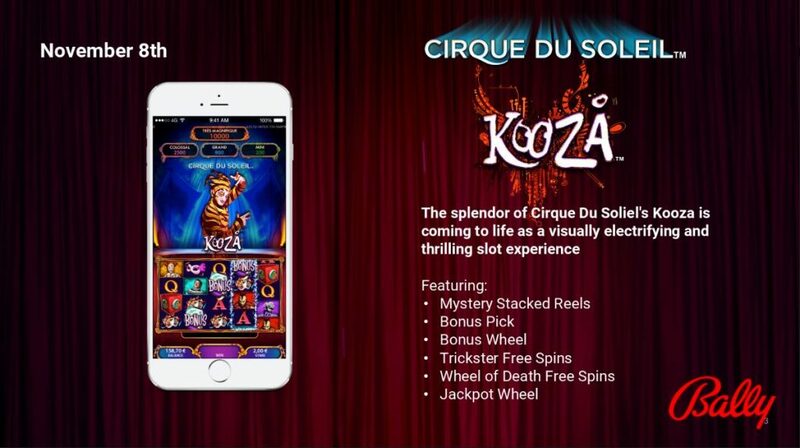 Unlike ordinary slot machines, this slot does not have spinning reels as such. Instead there is a 5 x 5 grid showing the symbols. A win is triggered by matching at least three symbols horizontally, vertically or diagonally. The winning combination is then removed from the grid and the remaining symbols tumble down (if applicable). On a win, the middle symbol turns wild and remains and tumbles on the screen. The features can be triggered two ways. The first way is by clearing the “bonus” line. 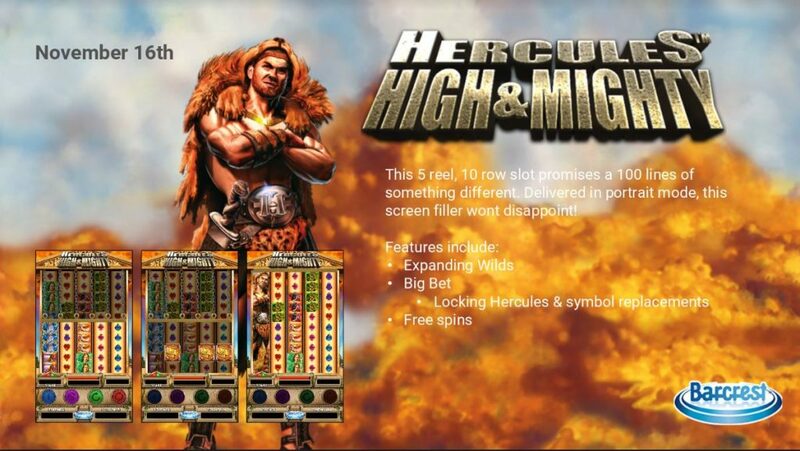 Once that is done, you get up to 17 free spins on a 3 reel slot with a win potential of 100x bet. The second way is via the wheel that is displayed on the right hand side of the slot. For each winning combination containing the special symbol, a segment of the wheels is lit up. The wheel at the end of the tumble then spins and if it lands on the lit symbol, one of the four features is triggered. 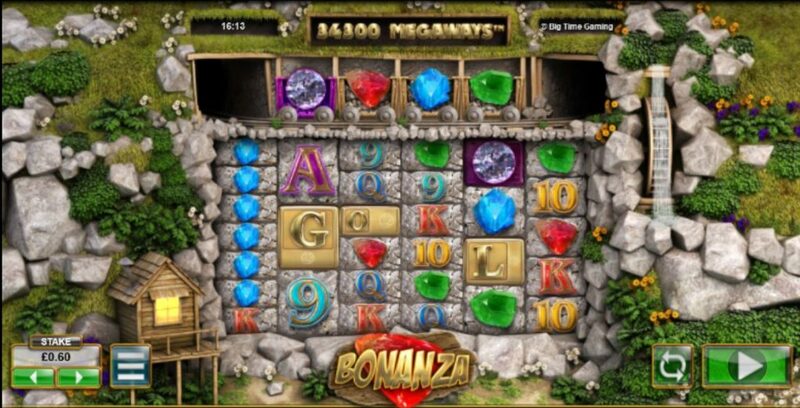 If the whole of the screen is cleared, a prize of 500x bet is awarded. If this were to happen during the 5x win feature on the wheels, the maximum pay out of 2,500x bet is achieved. The slot has great potential as the below video shows. I had a great win at Videoslots casino clearing the screen for a £500 win. However, big wins are not given very often by the slot but it is not a balance drainer either with small wins very often awarded, keeping the balance ticking along nicely. I would say it is therefore a medium variance game. Four more session on the Netent Dead or Alive slot and the frustration aired in the previous post is continuing. The first of the four sessions was a deposit of £300 played at £0.45, £0.27, £0.18 and then £0.09 stakes. Despite having 28 bonus rounds during the 4,970 spins played, there was nothing notable to report. Overall RTP was 81.4% with the highest free spins rounds paying 197x bet. At the end of the session, a total of £11.93 was left to play with the following day. This session was played at Videoslots casino. The second session started with the above mentioned balance plus some cashback money earned from the previous week at Videoslots casino. The session lasted a total of 1,027 spins at the lowest bet of £0.09 with a total of 9 bonus rounds awarded by the slot, which is a respectable once every 114 spins on average. It is a crying shame that those bonus rounds paid peanuts so to speak with the highest of them paying a pathetic 28x bet! The third session was a quick monthly deposit of just the £5 at Slots Magic casino. It was not only a quick deposit, but also a very quick session of just the 146 spins with no bonus rounds. It served as a good reminder that this casino, for me, is just not a lucky one! The final session was once again at Videoslots. 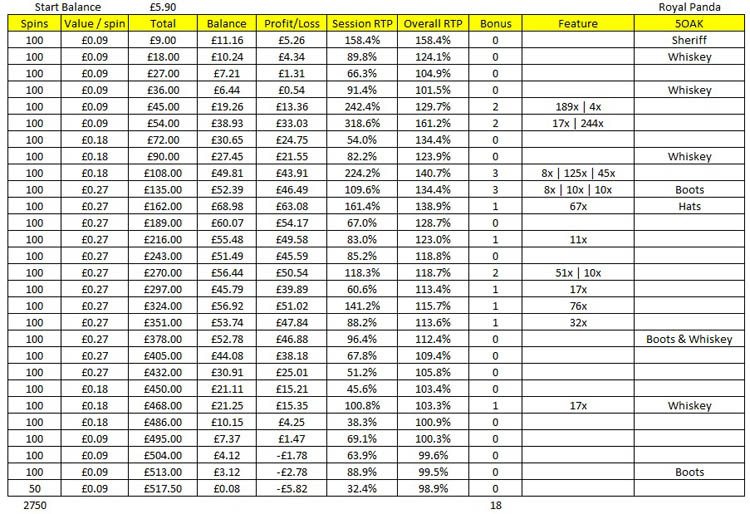 Race and cashback money totalling £31.74 was played through. The session lasted 1,138 spins with a bonus round every 126 spins on average. Of the 9 bonus rounds, the biggest win was just the 32x bet. Total RTP for this session was a very poor 69.1%. Since the last wild line win quite some weeks ago (it certainly feels like it has been years ago), a massive 93,513 spins have been made during which 597 bonus rounds were played. The money “invested” during these spins will take some big wins to recover, or alternatively some modest high wins at higher stakes which is a very risky strategy. As mentioned in the previous post, I will be giving this slot a bit of rest after the very last deposit I am going to make today (I promise this time!). Hopefully £25 at Betat casino will change my luck. Fingers crossed and all that good stuff! Three more sessions at Videoslots and Unibet and the theme of recent posts continues. Off to play now with the remainder of the money topped up with some race money earned during last week’s play. 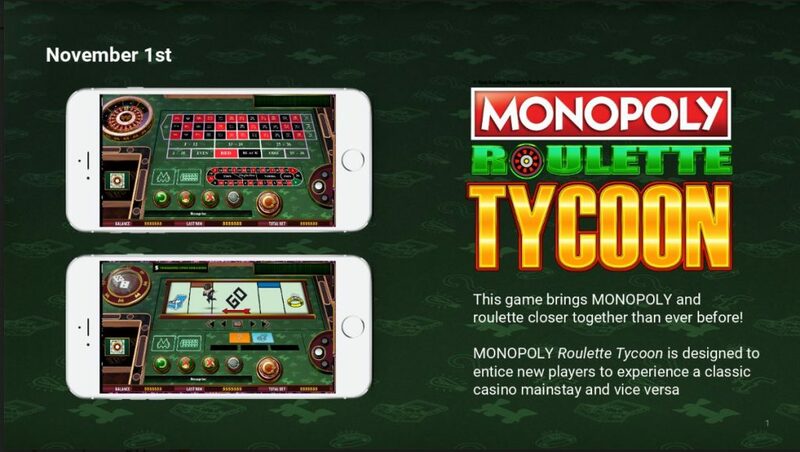 One deposit, two sessions that lasted a total of 10,915 spins during which 68 bonus rounds were played. End result was a bust with no wild line. That is the quick summary that followed a deposit at Videoslots casino. The first session lasted 3,695 spins during which 22 bonus rounds were given by the machine (one every 167 spins on average). 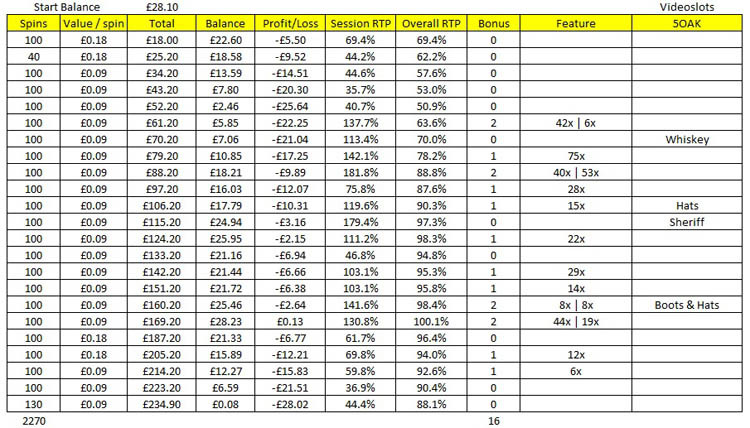 The RTP for the session was 88.4% with just over £100 to be played through the following day plus race money earned during the previous week. The second session lasted 7,178 spins during which 46 bonus rounds were played (one every 156 spins on average). Total RTP for this session was 93.8%. The slot has not been playing ball since the last wild line win. 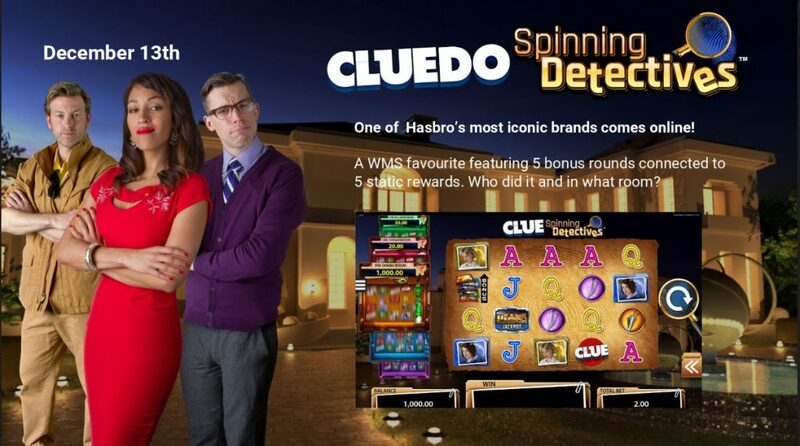 It has now been 68,608 spins and a massive 427 bonus rounds! Some cashback money dropped into my Videoslots account that will be played through in due course. It is about time that Dead or Alive comes alive again! With the idea in mind that the slot surely is going to give soon, a substantial deposit was made at Videoslots casino that lasted 6,631 spins during which almost £1,800 was wagered through. During these spins a total of 39 bonus rounds were granted by the slot with the overall RTP for the session ending up at 82.9%. There were 3 bonus rounds that paid over 100x bet size. A bonus round was trigged every 170 spins on average which seems to be very close to my overall average for this game. During this session a total of 17 bonus round were given by the slot (once every 140 spins on average) with the overall RTP sitting at 94.9%. Now for some rather depression news. Since my last wild line that appears to have happened ages ago, a total of 57,693 spins have been made and 359 bonus rounds played through!!! Played a couple more sessions last night and “not very good” is perhaps the correct polite term to use to sum them up. The second deposit was made at Casumo casino simply because there was a 50% match bonus meaning that the €25 instantly turned into €37.50. And a good thing that was too because the session wasn’t a very good one with bonus rounds very far and few between. As a matter of fact, it has now been 1,200 spins without a bonus round – a very new disappointing low since playing this slot! Luck surely is going to turn soon?